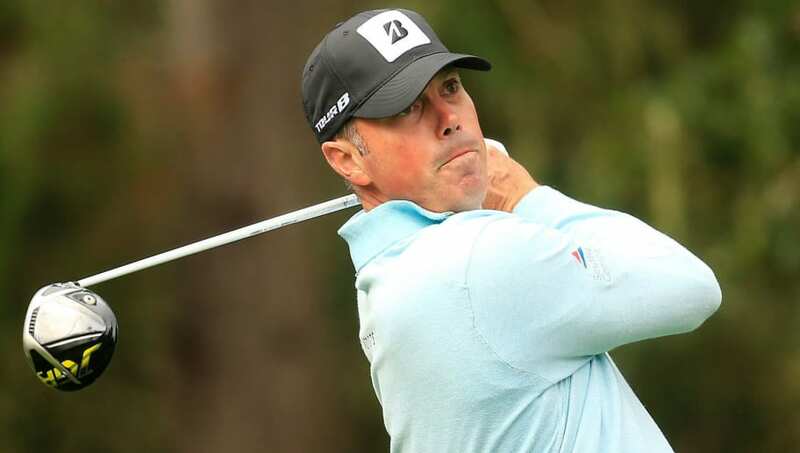 The widely-regarded notion that Matt Kuchar is one of the nicest guys in the entire Professional Golfers' Association has taken a HUGE hit. Back in November, the 40-year-old took home $1.2 million after winning the Mayakoba Classic in Mexico. He won the event with a fill-in caddie, David Giral Ortiz. You would think Ortiz would get a nice tip for his services, right? Well, it depends how you look at Kuchar's $5,000 payment. Sure, that's a lot of money, but when you take home more than $1.2 million, you'd hope the super rich golfer would do the right thing and throw in a nice little bonus bump in there. But no, Kuchar and Ortiz were said to have a agreed to a $4,000 figure before the tournament started, and after winning it all, Kuch so generously gave him an additional $1,000. Ahead of a tournament this week in Los Angeles, Kooch had the chance to make nice with Ortiz, but insisted on defending his actions. Generally, caddies can expect tips equating to at least two or three percent of a golfer's prize at any given event, and if you do the math you'll realize that Kuchar tipped Ortiz about 0.4 percent of his winnings. We can almost guarantee that the nine-time PGA winner will be hearing "boooo's" instead of "Koooooch" on the upcoming tour. Matt Kuchar somehow defended his decision to pay his caddie just $5K after collecting a $1.2M check for winning a tournament. Let's play the hypothetical game for a second. What do we think Kuchar would have paid his regular, full-time caddie? Probably more, right? It was already disrespectful enough to grossly undertip a man who undoubtedly worked his tail off, but to defend those actions is equally and utterly disgraceful.